Both bodies are fighting it out, sometimes unfairly, to gain a greater market share of the accounting education market. But which one is better for students? To put the problem in some context, here are the numbers: as of 2018, there are a grand total of 6,118 chartered accountants in Pakistan who have qualified the Chartered Accountancy (CA) qualification examinations administered by ICAP. Approximately another 6,000 accountants in Pakistan have qualifications issued by the London-based Association of Chartered Certified Accountants (ACCA). It is unclear how many accountants in Pakistan have both qualifications, though there is certainly some overlap in the membership of the population of the two governing bodies. There are a handful of other accountants in Pakistan who have qualifications from other accounting bodies, but broadly, that means that there are approximately 12,000 qualified accountants in the country. How many should there be? To give some context for that, India has 282,193 members of the Institute of Chartered Accountants of India (ICAI). If Pakistan had as many accountants as a percentage of its population as India, there were would be nearly 44,000 accountants in Pakistan, suggesting a shortage of 32,000 accountants. There are some who estimate this shortage even higher. “Pakistan has a shortage of 40,000-50,000 chartered accountants,” Sajjeed Aslam, the head of ACCA Pakistan had said in an interview to Profit last year. Similar estimates were given by representatives of CIMA in an interview a few years ago. As Pakistan seeks to document its economy while also trying to create well-paying white collar jobs for its growing population, having more people enter the accounting profession seems like a good thing. But for decades, ICAP has held a tight grip on who gets to call themselves an accountant in Pakistan: while tens of thousands of students attempt the CA examinations every year, only a few hundred pass the full set of exams to become chartered accountants each year. But ICAP’s grip on the Pakistani accounting industry is slipping and is about to cross an important inflection point. The year 2019 will be the first in Pakistani history when the number of CA-qualified chartered accountants within the country will become a minority, exceeded in number by ACCA-qualified chartered accountants. This is somewhat remarkable considering the fact that ICAP has existed since 1961 and ACCA did not enter the Pakistani market until the mid-1990s. Outside Pakistan, ACCA is already the dominant qualification even among Pakistani accountants. Of the nearly 8,000 Pakistanis who work as chartered accountants outside the country, approximately three-quarters have an ACCA qualification, compared to just one-quarter who have a CA. This makes the age-old debate between students in Pakistan an even more interesting one: which option is better for a student seeking to enter the profession in 2019? ICAP or ACCA? ACCA and ICAP remain the two primary avenues in Pakistan for students wishing to pursue accountancy as a profession. Although many universities, as well as other bodies like the Institute of Cost and Management Accountants of Pakistan (ICMAP), also offer courses in accountancy, taxation and other related disciplines, the title and benefits of being a chartered accountant rest solely with ACCA and ICAP. In order to understand what benefits each of these two paths may confer, we compared the structure of their coursework, their fees and costs, and the potential career trajectories of the members of both organisations. But first, a history lesson. ACCA is a global body operating in 108 countries around the world. Its origins can be traced as far back as 1904 where it began as London Association of Accountants, with the prime motive of allowing more access to the accounting professionals. By 1905, the association had introduced its first examination. By 1910 it had a thousand member accountants and in the next three years, London’s association began its global expansion with establishing its first branch outside the UK, in South Africa. The actual arrival of ACCA in Pakistan is difficult to ascertain. However, it can be estimated to be around 1995, when the ACCA global online platform was launched, offering courses and e-business services online. ACCA had already built a stronghold in Asia, Russia and the rest of the former Soviet Union by the late 1980s, so there were probably already a few ACCA members in Pakistan when the institution finally moved to operate from within the country. Today ACCA has offices in 108 countries in the world and boasts of 280,000 members and 503,000 students. Of those, approximately 12,000 are Pakistanis, with a nearly even split of 6,000 each between those working inside Pakistan and those working outside Pakistan. ICAP on the other hand has a much clearer history with its roots in the government of Pakistan adopting the Auditors’ Certificate Rules, 1932, and the Companies Act of 1913 for regulating the profession of accountancy in the country. The reframing of the Auditors’ Certificate Rules in 1950 allowed both practicing and non-practicing accountants to be registered as such, who eventually formed Pakistan Institute of Accountants (PIA) to safeguard their rights and provide a platform to the accounting professionals. In June 1959, the then government established a Department of Accountancy and set an advisory body called the ‘Council of Accountancy’ under the Auditor’s Certificates Rules, 1950. This advisory body recommended the establishment of the Institute of Chartered Accountants in Pakistan which was accepted, resulting in the official establishment of ICAP on July 1, 1961. Over the next six decades, ICAP has become the premier regulatory body for regulation of accounting in Pakistan and has north of 8,000 members of whom just over 6,100 practice within Pakistan. Needless to say, after more than three decades of being the dominant accounting association in Pakistan, ICAP had grown used to its premier status. With the advent of the ACCA, and the growing competition for both students and members, however, ICAP has had to grow accustomed to losing its monopoly status, a situation that, many allege, it has not taken to kindly. In September 2012, the Competition Commission of Pakistan (CCP) brought charges against ICAP for a directive that the latter had issued in July that same year. ICAP’s notice issued to its members and chartered accountants had asked them to refrain from hiring and engaging accounting trainees from any non-ICAP institution, ‘particularly trainees from foreign institutes or any other accounting body of a similar nature’. This was seen as a clear attempt to stymie the careers of accountants who had other qualifications because in most accounting bodies, training and articleships are a necessary component of completing one’s certification. If Pakistan’s major accounting firms stopped hiring trainees and interns from non-ICAP bodies, it would destroy the careers of anyone who was not in the CA program. In addition to the London-based ACCA, this notification also came as a hurdle for members of the Institute of Chartered Accountants of England and Wales (ICAEW) and the Chartered Institute of Management Accountants (CIMA) from being hired by an ICAP-member institutions, which include all of the Big Four accounting firms in Pakistan. The CCP’s notice to ICAP said that this could also lead to barriers for professionals from foreign countries who wish to offer accountancy services to Pakistan any time in the future, thereby it was in violation of the Competition Act, 2010. On January 10, 2013, the CCP imposed a Rs25 million penalty and a daily fine of Rs1 million on ICAP for every day that it refused to withdraw its instructions barring members from hiring accountants from other institutions. The CCP also appraised the stakeholders in the case of the ICAP’s circular stating that since the directive has been declared illegal, rescinding or withdrawal of the same is unimportant. However, the accountancy firms reportedly still refused to hire non-ICAP trainees. Eventually, in March 2016, the Lahore High Court offered ICAP to withdraw its circular and gave a deadline of April 7, 2016. No further information is available on the matter as yet. Profit repeatedly reached out to ICAP for comment, but there was no response. Every single time, after hearing the query, the call was transferred by the operator to some number that was never answered. However, the relationship between ICAP and the ACCA is not as simple as a hostile competition. For instance, ICAP is offering exemption to students who have cleared ACCA examinations in several subjects if they wish to obtain a CA qualification as well. And ACCA accountants are still able to get articleships and internships in at least some accounting firms, even if they are less preferred than CA students. The choice for students, however, goes way beyond the organizational war between ICAP and ACCA. For most people aiming to build a career in the world of accounting, the factors that matter are the potential growth and the likely remuneration packages they will receive once they come out the other end of their education, be it from ICAP or ACCA. Let’s look at the differences in the educational details of both these organizations before moving on to the cost structure and the potential career trajectories of both CA and ACCA members. In 2017, an eighteen-year-old girl from Sakrand, Sindh became one of the youngest achievers of ACCA qualification in the world. After doing her matriculation, instead of pursuing intermediate, which is normally the next step, Aqsa Majeed Memon, chose to enroll in ACCA at the age of sixteen and cleared her exams in the next two years. As great an achievement as it may be, what it highlights for ACCA as an educational and professional body is that there are no specific criteria or prerequisite educational requirement to get enrolled in this chartered accountancy course. However, this might just be the problem for Pakistan. KPMG Advisory Associate Umar Ali Lodhi drew comparison with Pakistan’s ACCA and UK’s ACCA. “In the UK, when students have completed their Bachelors’ degree and enter the workforce, if their job requirement demands it and only if their employer sponsors it, then they get into ACCA.” In Pakistan, however, admissions are open ended and the only factor that does count is sixteen years of age. As opposed to this, ICAP, which is also the de facto guardian of accounting standards in Pakistan, requires a Higher Secondary School Certificate, an A-Levels degree with at least two passes or some equivalent qualification as an admission requirement. This is only one of the several differences in the two courses, which while basically both preparing chartered accountants, can lead to completely different career and growth trajectories for their members. 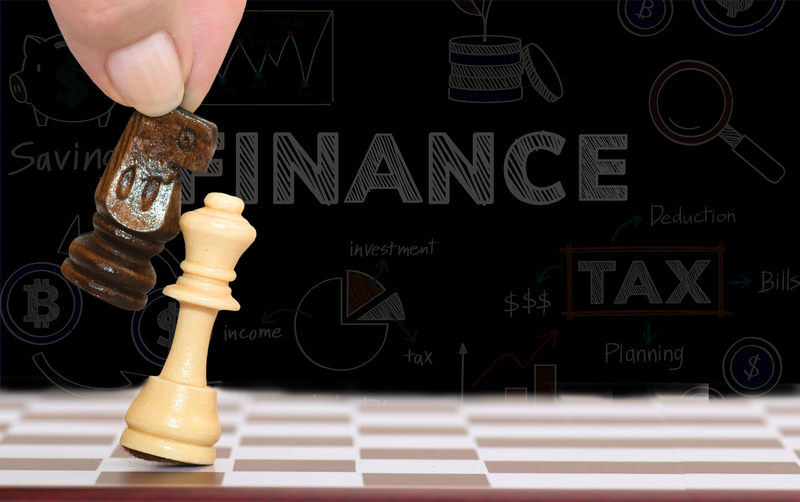 Chartered accountants from both these institutions provide the same, or similar, services in the fields of taxation, audit and assurance, budgeting, and accounting and finance. The biggest difference between these two qualifications is that while ICAP’s syllabus focuses primarily on Pakistan’s laws and regulations, ACCA offers more insight and training into UK’s laws and international regulations. The subject matter covered in the courses in ACCA and CA examinations is organized a little differently, but is otherwise largely the same: managerial and financial accounting, corporate law, taxation, audit, and basic financial analysis. In addition to the differences in courses there are several other differences in the qualifications offered by the two organizations, namely: ACCA, whose qualification is also known by the same abbreviation, leaves the choice to students on how many subjects they wish to attempt in one sitting, and are allowed to take exams over a period of ten years at most. ICAP on the other hand, offering the course CA, has a fixed number of exams per attempt and students have to clear all at once or they are considered to have failed the attempt altogether. The order of the modules for examinations is fixed for CA while for ACCA that also remains the choice of students. The number of attempts is also limited in ICAP exams with six being the most and that too for some of the subjects, while for other, less accounting-intensive subjects, just three attempts are allowed. For ACCA however, there is no limit to the number of attempts and a student can continue to appear in exams until he or she has cleared all courses sufficient to become a member. There are also differences in the professional requirements between ACCA and CA. First of all, an ACCA member needs not to have completed all courses to become part of the workforce, albeit it is almost always as an intern that they enter the workforce. For CA-qualified accountants however, there is a specified criterion and a set number of exams that students need to have cleared to become eligible for employment or even training. This also at times becomes a hurdle for ACCA members to land the same level of training or employment opportunities as a CA accountant in Pakistan. The CEO of an accounting firm based out of Islamabad, speaking on the condition of anonymity, shed more light on the matter. “There are two things to note here. First, ACCA members are obviously not as well versed with Pakistan’s accounting and finance laws as CA qualified accountants, although they do come in handy when we have an international project. Secondly, ACCA members are up for training at any stage in their education. Unlike CA there is no minimum limit of exams to have been cleared to join the professional market as an intern or trainee. So for us as an audit firm, people with CA or enrolled in CA are almost always a better choice of resources,” he said. We should note that this particular CEO is a member of ICAP who has previously worked with PricewaterhouseCoopers Pakistan. These amounts are payable to ACCA in the UK, though local banks such as United Bank Ltd have created special products that allow students to deposit the fees in Pakistani rupees for them to be received by the ACCA in British pounds. Besides these fees the enrolled students have to pay tuition fees and registration fees to the institution or academies they choose for their preparations and those amounts vary depending on the respective organizations. These amounts are payable to ICAP. Besides these fees the enrolled students have to pay tuition fees and registration fees to the institution or academies they choose for their preparations and those amounts vary depending on the respective organizations. For an estimate of what these registration and tuition fees might amount to, we have taken the fee structure of a popular college in Karachi, known for its ACCA and CA preparation. Here are the amounts due to the said college, in addition to the costs mentioned above. What that means is that, at current exchange rates, and if a student does not fail a single exam, the minimum cost of the ACCA is Rs227,941 in ACCA fees and Rs172,500 in institution fees for a total cost of Rs400,441 for the qualification as a whole. For the CA, those numbers come out to Rs51,400 for the ICAP fees and Rs148,000 for the institution fees for a total of Rs199,400 for the entirety of the CA qualification. In short, the ACCA costs at least twice as much as the CA, though the costs for individual students may be different depending on how many exams they have to retake, and what the costs of their fees for their institutions might be. Passing exams, however, is not the end of an accounting education. Students typically need to complete three years of training in the audit function of an accounting firm before they can be allowed to call themselves chartered accountants. And during that time, firms do not pay them much, and this is where the discriminatory attitude towards the ACCA really starts to bite. A little silver lining for ACCA members came from one person, Umar Ali Lodhi, an ACCA member currently working with KPMG as an advisory associate who said that the practices are now showing improvement for ACCA members as well, at least in KPMG. Some employers also believe that since ACCA members are well versed in international laws and regulations, they have a better chance at finding freelance work on platforms like Upwork and compliment their income further. As a final note, while ACCA and CA differ substantially in their courses and training requirements, they both share a stark similarity. Neither of these courses offer the soft skills, de facto the most important part, of university level education. Since the institutions that are responsible for preparing students for these exams are like academies holding periodic classes, and not proper universities exposing students to co-curricular activities, the focus on communication skills, presentation skills, or social skills are almost absent. This will become especially more important in the era of augmented and artificial intelligence as more and more of the technical functions of accountants and auditors get automated. The corporate world will still need accountants and auditors, but their jobs will increasingly require more of these “soft” interpersonal skills and less of the technical skills that they consist of now. “Since there is no background study requirement for ACCA either, students from all areas and backgrounds join ACCA. And no matter how exceptional they are in accounting, many of us enter the job market with zero interpersonal skills. This only adds more difficulties for us in succeeding amidst accounting and finance graduates from LUMS and IBA,” said Nouman Khan, the Lahore-based ACCA-qualified accountant. The ICAP curriculum is equally deficient in such interpersonal skills training, meaning that while CA might be defeating ACCA in Pakistan over its local legal proximity, it is disappointing its fellows on the same level. The ACCA global website does feature communication skills as an important factor in training and also has study resources for students who wish to adopt the course online, of their own will. However, it has not been inculcated as an essential course that students need to take as part of their training. Course outline and timetables of SKANS, SBM and several other preparatory institutions’ were obtained by Profit, and so far none of them has separate courses or training sessions for students for presentation skills, debating, or other related activities, at least not directly under the ACCA requirements or options. So, while the global body might have begun to realize the drawbacks of not including these skills in the curriculum, they have yet to provide the same for their Pakistani students and members. There was, however, a professional grooming workshop held by ACCA in Lahore in March 2016. ICAP, on the other hand, has a comparatively better track record with regular ‘Interpersonal Skills for Finance Professionals’ seminars being held for their members. Again, this is not something that is compulsory for ICAP members but there is at least a regular availability of training in this regard and unlike ACCA’s communication course, these seminars are also free for members. What is right for students? After all is said and done, students wishing to stay and pursue accountancy in Pakistan might be better off with CA, considering its lower costs and wide acceptance within the country’s accounting fraternity. However, those wishing to have a global work experience or wish to work with global companies in particular will likely be benefited more by attaining ACCA qualification. Irrespective of which accountancy professional course a student may choose, they will have to be proactive and self-reliant to gain experience with interpersonal skills and communication abilities on their own because, at least for now, they will not be provided to them as part of the curriculum. Thanks for the write up. I would like to add a few points. As a UK qualified accountant, ACCA qualification in England is also considered inferior to the CA qualification (either from ICAEW or ICAS). There are no two ways to look at this. I know of certain roles that are restricted to people with CA qualifications and ACCAs will not even be considered. That is the stark reality and students would be well advised to pursue ICAP qualification. I personally know of numerous CA’s from Pakistan who have done well at Big 4 in the UK. They actually happen to be in high demand as they are considered to have a very strong ‘technical’ understanding. Lastly, Oxford Brookes University is like one of the worst universities you can study from. Do not be fooled into thinking that a degree from the University will carry any weight. Bad failure law was abolished in CA since 2010. Please update yourself first before writing an article on CA and ACCA. It is a good article to read. I would like to add that in the UK a Royal Charter is issued to those professional bodies which are doing something unique (and it is rare for the last 50 years). A Royal Charter has been issued to ICAEW for England and Wales, ICAS for Scotland and ICAI for Ireland (when Ireland was part of the UK). CIMA and CIPFA are unique as they are focusing on different areas e.g. management accounting and public finance. ACCA also has a Royal Charter but it’s unique area is being an international body of accountancy. ACCA is an opportunity provider, a chance provider to all those who want to become an accountant but couldn’t. As far as Big4 and Top10 in the UK are concerned they prefer to hire and train for ICAEW or ICAS. CIMA and CIPFA options are available for those joining industry or public sector. ACCA is not the first choice. A point to note is that in the UK none of the companies (or students) enrol into ICAP. Reason being ICAP wouldn’t be able to equip a student with knowledge of UK’s tax and business laws. So obviously it is clear that employers want accountants to have knowledge about local laws and taxes. This is why Pakistani students should think twice before enrolling into ACCA if they wish to work in Pakistan.